Spencer Gibb, Mauricio Salatino discuss how Spring Cloud Kubernetes integrates with Config Maps and Secrets for providing secure configuration to Spring Boot applications. Sabby Anandan and Soby Chako discuss how Spring Cloud Stream and Kafka Streams can support Event Sourcing and CQRS patterns. Artem Bilan, Kir Titievsky discuss the Google Cloud Pub/Sub binder for Spring Cloud Stream. Arnaud Cogoluègnes demos messaging apps built with RabbitMQ with Reactor on Spring Cloud. Code used in this talk is made available for download. How Sleuth Bravely Cracked the Case of "Too Much to Code"
Adrian Cole, Marcin Grzejszczak discuss what Sleuth and Brave are, how Sleuth has changed and which are some of the new features in version 2. Marcin Grzejszczak, Jon Schneider discuss using Spring Cloud Pipelines and Spinnaker together. Shubha Anjur Tupil and Spencer Gibb compare Spring Cloud with Istio, exploring the use cases that are best suited for each of them. Yitao Dong and Yawei Wang show how to create cloud native apps with Spring Cloud on Azure. Mark Fisher and João Martins discuss using the Spring Cloud adapters for GCP to develop cloud native applications. Erdem Günay shares the journey of re-platforming Turkcell TV service to Cloud Native within a few months using Spring Boot and Spring Cloud. 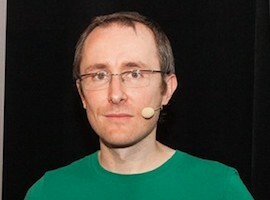 Marius Bogoevici introduces the Kafka Streams API and the Kafka Streams processing engine, showing how to write and deploy Kafka Streams applications using Spring Cloud Stream. Ryan Baxter introduces the Spring Cloud ecosystem and how to use it to build cloud native applications.